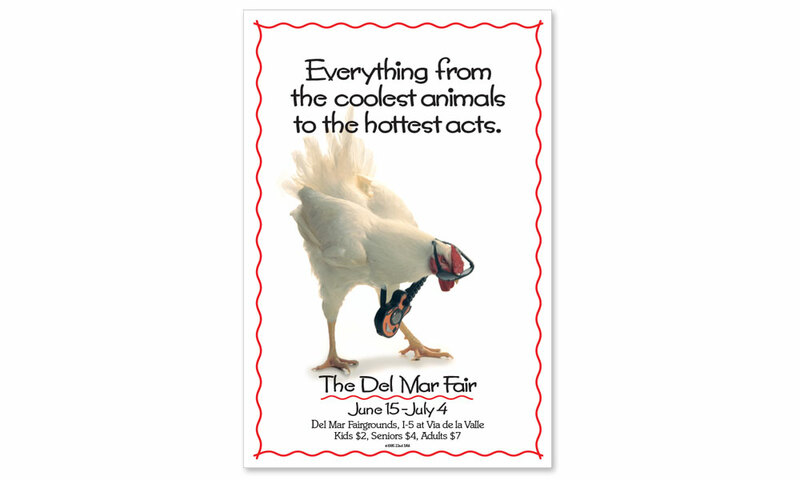 The Del Mar Fair (now San Diego County Fair) has always been a big deal. 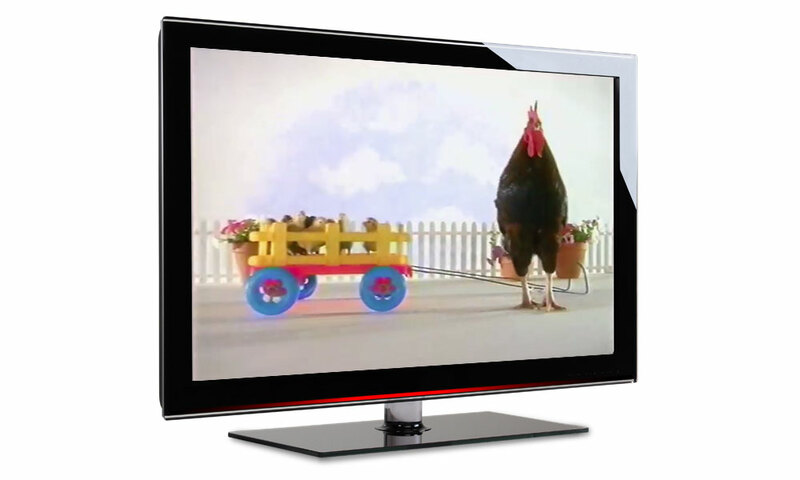 BrainShine, in conjunction with Steve Law Creative, put together a smartly crafted campaign of TV, Radio, Print Ads in English & Spanish, Billboards, Bus Boards, etc. 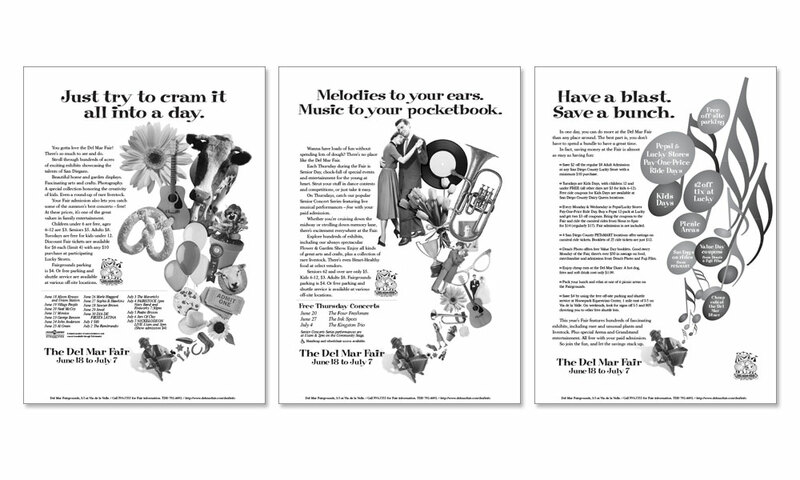 Our team was called upon to creatively handle a large, multi-touchpoint media placement and develop PR-driven promotions and co-branding to enhance ticket sales. 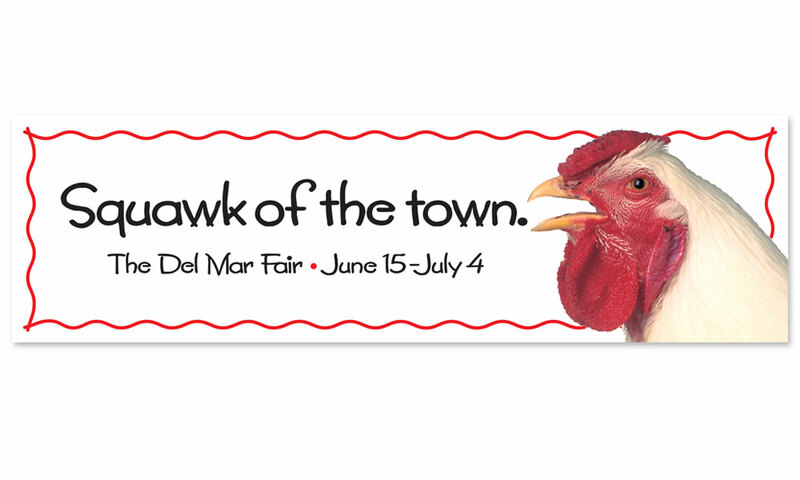 The result: the Fair exceed projected attendance levels two years in a row. Represented here are two years of promotional advertising. 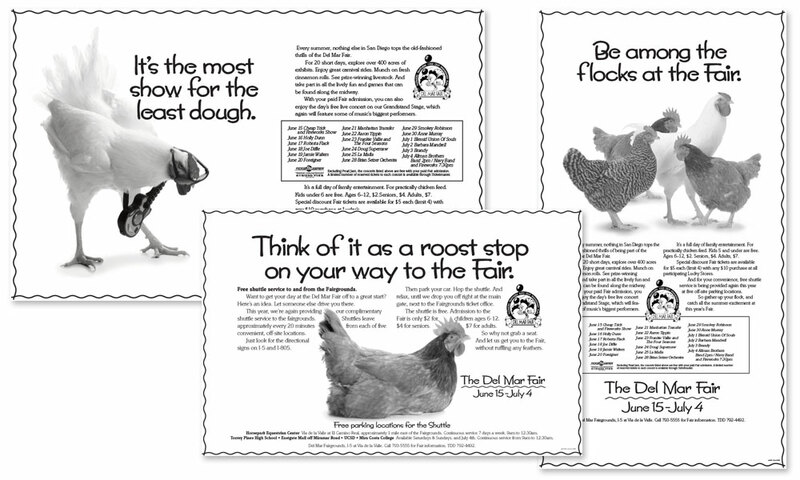 The first year, we responded to the Fair theme: Flowers, Feathers and Old Fashioned Fun with a campaign featuring chickens – a popular part of the livestock display, auction and shows. The second year’s theme: Far Out, Furry and Family Fun enticed us to focus on the “fun” and we created a Zydeco inspired theme replete with everything the Fair has to offer.